The perfect Distressed jeans for cold days. A majority of these holes are just illusions. No cold knees! 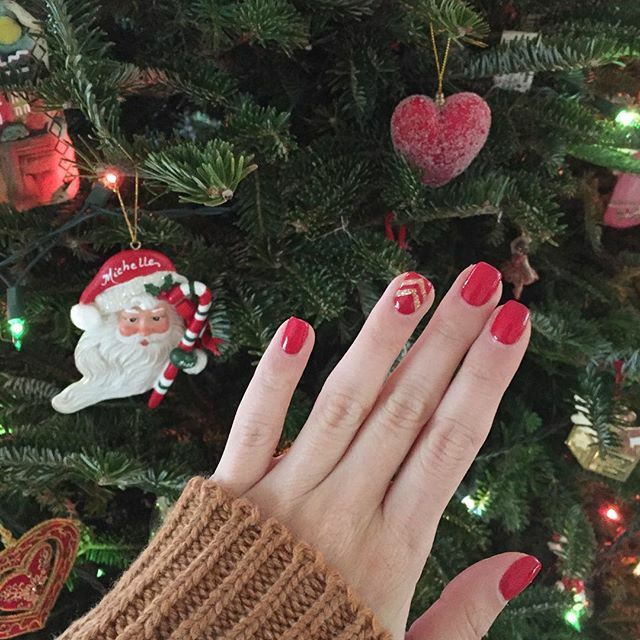 Photos via @michelle_orsi on Instagram. Follow along! Love each of these insta-shots! I always end up buying my sister and I matching stuff also. Too funny! Great Insta recap, and loving those red over the knee boots! Love your round up - I'm obsessed with those white overalls - you are killin it! Just followed you! Also didn't realize you were a hockey fan before! Wahoo! The biggest! 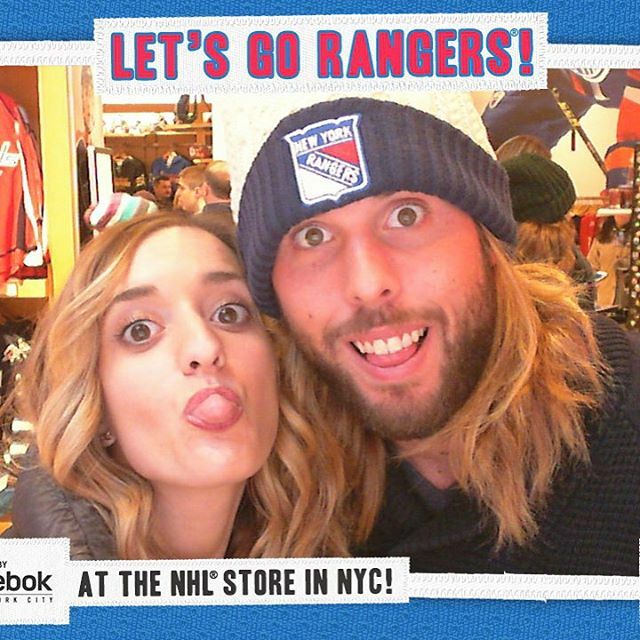 I love the NYR! Oh my goodness, I love those black and white polka dot PJs and your white overall look is ADORABLE! 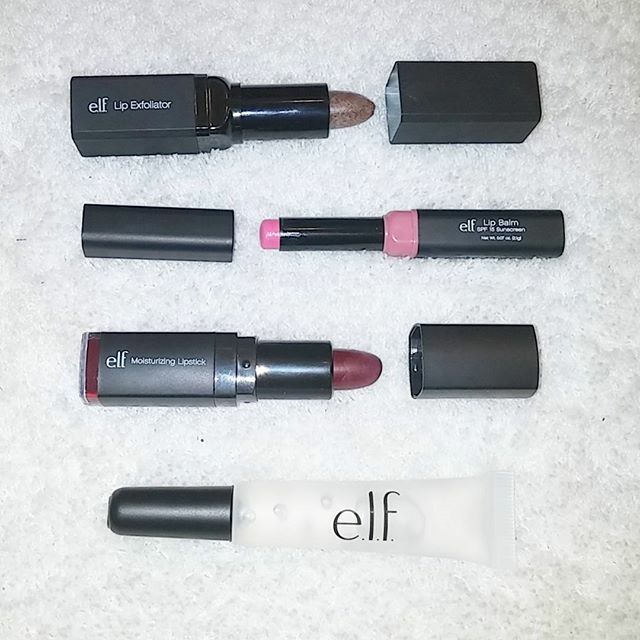 Also, definitely going to be grabbing that elf color remover on my next Target run!! Happy New Year! It's amazing! 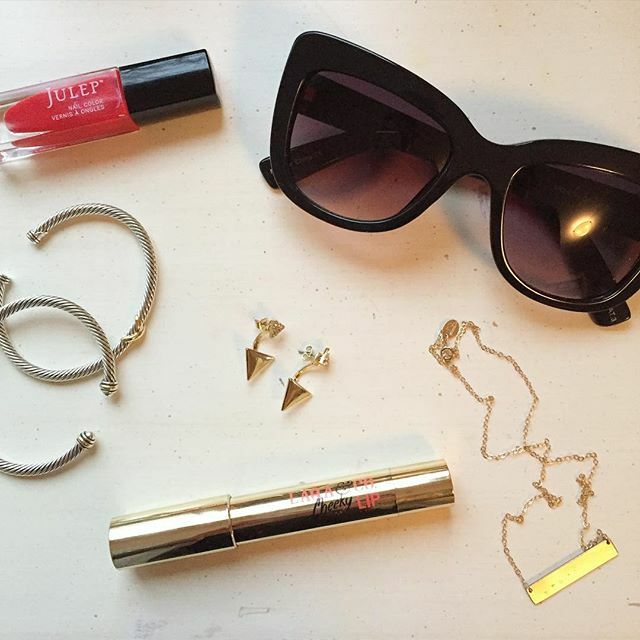 I love a bright lip but hate the leftover color stain that some brands leave on my lips! How cute are all these snaps! Love the one of you and your sis in matching jammies! 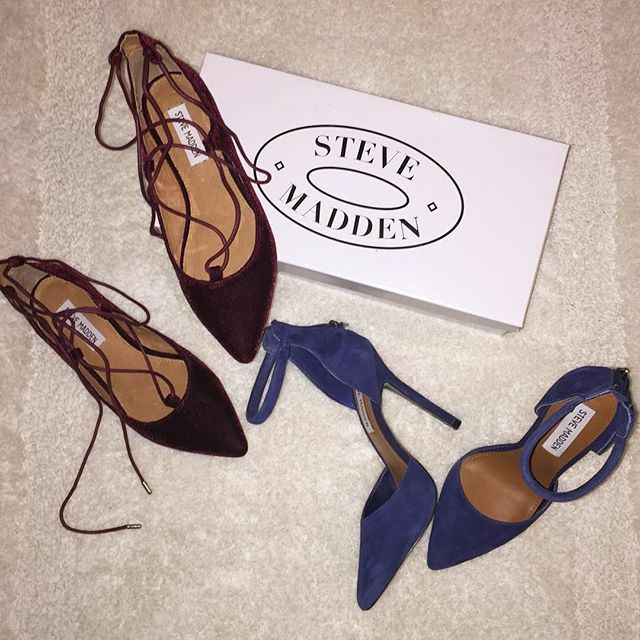 I absolutely love both pairs of Steve Madden shoes! wow! ME too! They have some of the best shoe styles for under $100! These are some really great pictures! I love those Steve Madden shoes! Do you like the lip exfoliater from ELF? I wanna try it! I love it! It tastes like vanilla too! Yum! 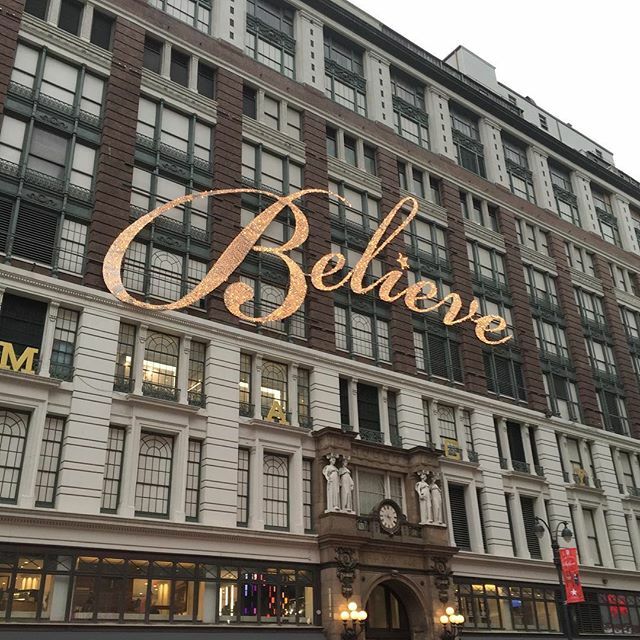 Love your instagram recap. I can't wait to see you wear your new boots. 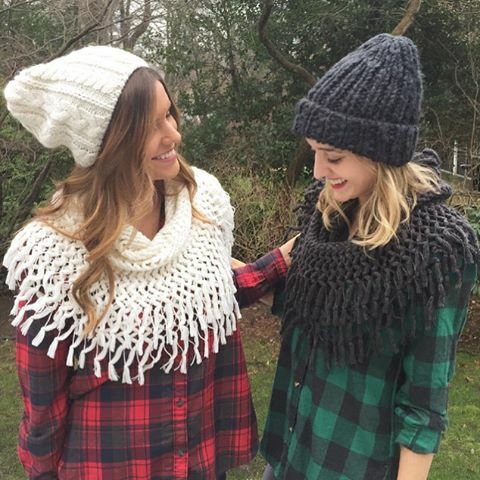 I also love that you and your sister have matching hats and scarves. They are so cute. These photos are so beautiful, love your Instagram feed, amazing! Oooh, those Steve Madden shoes. I need these two exactly! So gorgeous! They are amazing! I love the velvet flats especially! I always love these Instagram posts. You put a lot of thought into them. Plus we get to see outfits or sneak peak of outfits you haven't posted on the blog, before. The pictures of you and your sister are my favorite. You are both pretty and stylish girls. Cheers! YES! I try to share some content that is exclusive to Instagram so my followers can get a more well-rounded look at my life!